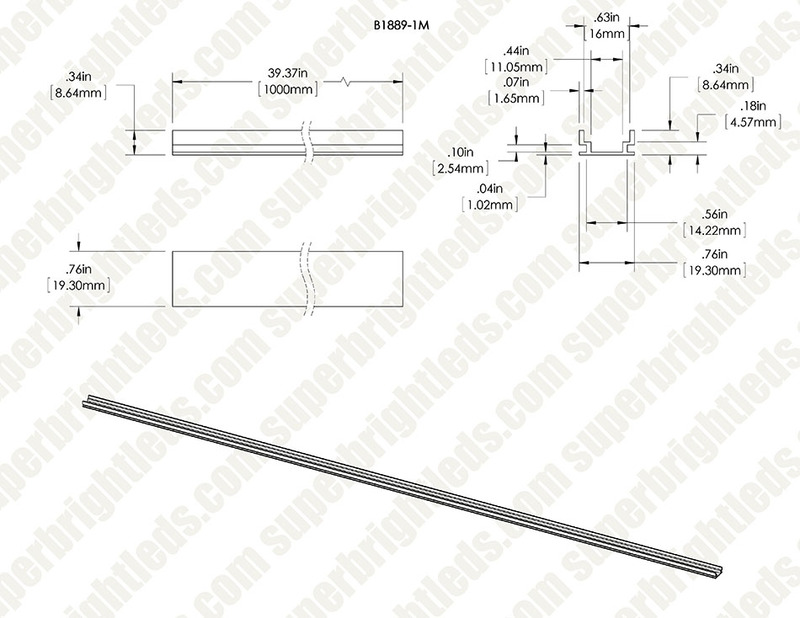 Klus B1889 - HR-ALU series Heavy Duty Aluminum LED Profile Housing: Klus Custom Cabinet Installation How To. 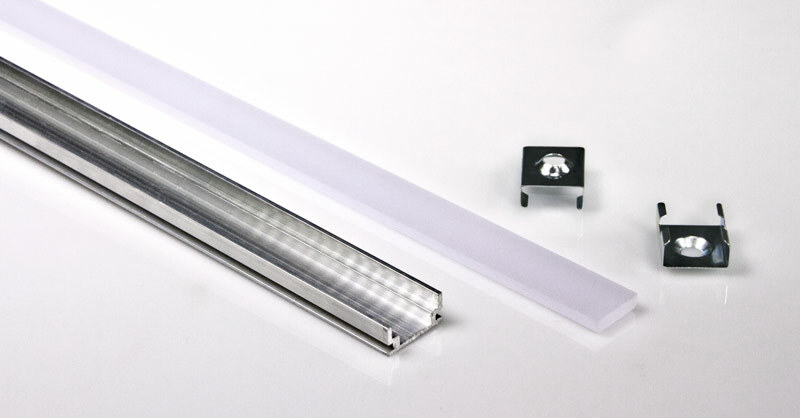 The KLUS HR-ALU series LED aluminum profile housing is durably constructed for use as a floor light, tile light, shower light, or for building facade lighting and garden lighting. 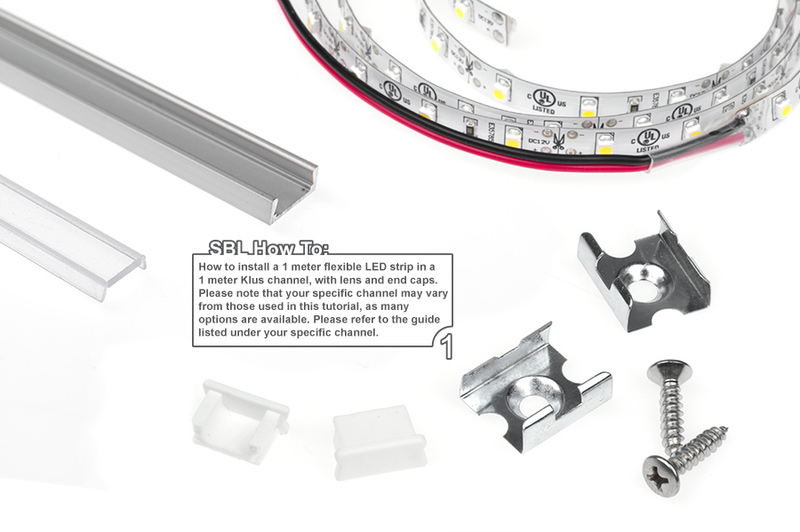 This heavy-duty, low-profile LED channel provides a professional mounting solution for flexible, rigid, or linear LED strip lights that measure up to 11 mm wide. 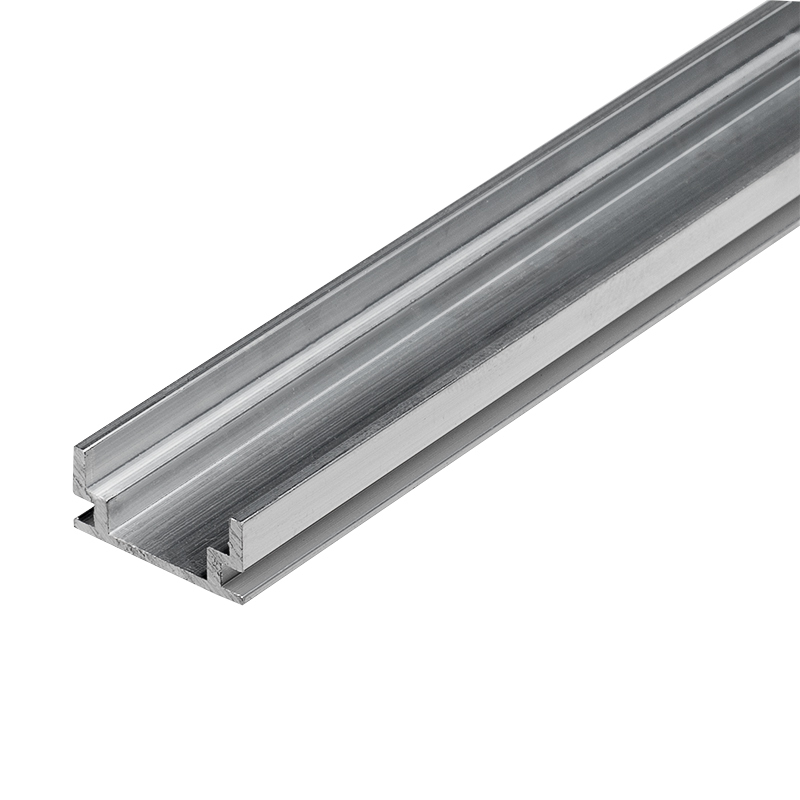 The 1m (39-3/8") or 2m (78-3/4") profile housing is constructed of sturdy extruded aluminum that can be surface mounted or flush-mounted. A frosted lens provides smooth lighting with no visible hot spots. 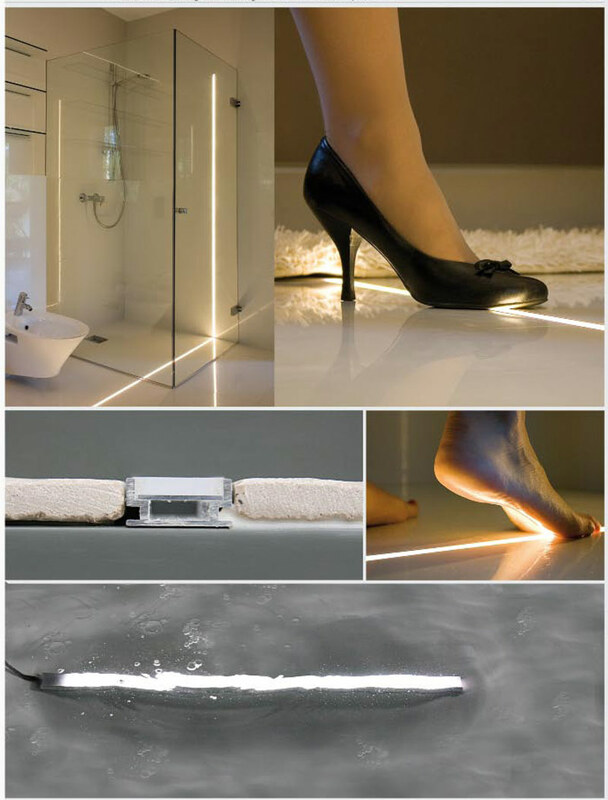 It is recommended that this extrusion together with LEDs, cover, and caps should be sealed with neutral silicone sealant (sold separately) to achieve waterproof standards. 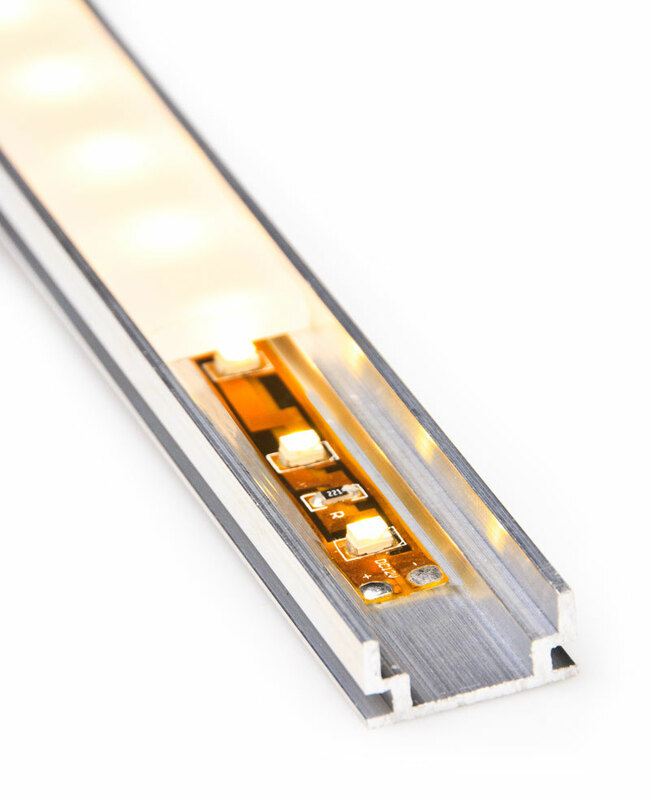 The extrusion made from high quality aluminum is designed for flexible or rigid LED strips that are 8-10mm wide. 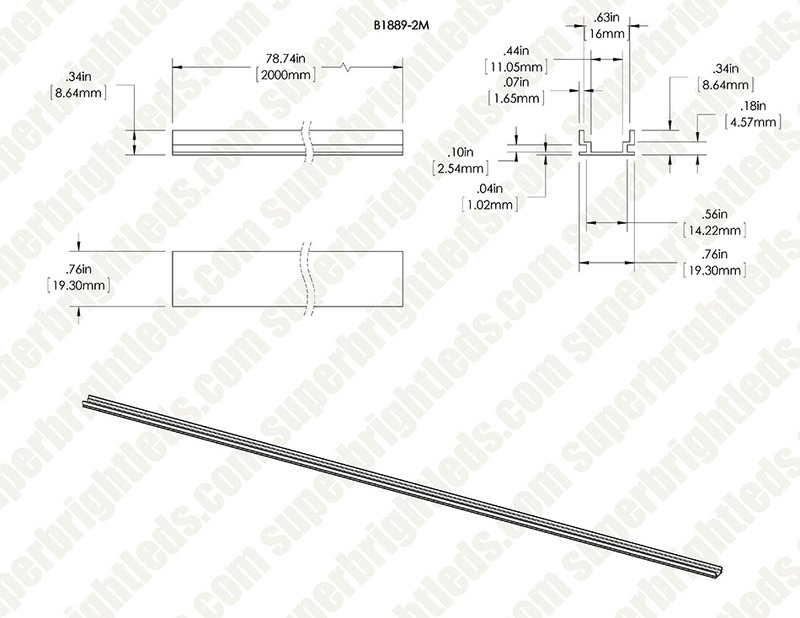 One of the accessories offered for the extrusion is a cover that shades and protects LEDs inside the profile. Due to its high integrity and compact size, HR-ALU extrusion is ideal for use in bathroom, shower, floor applications or areas exposed to water. 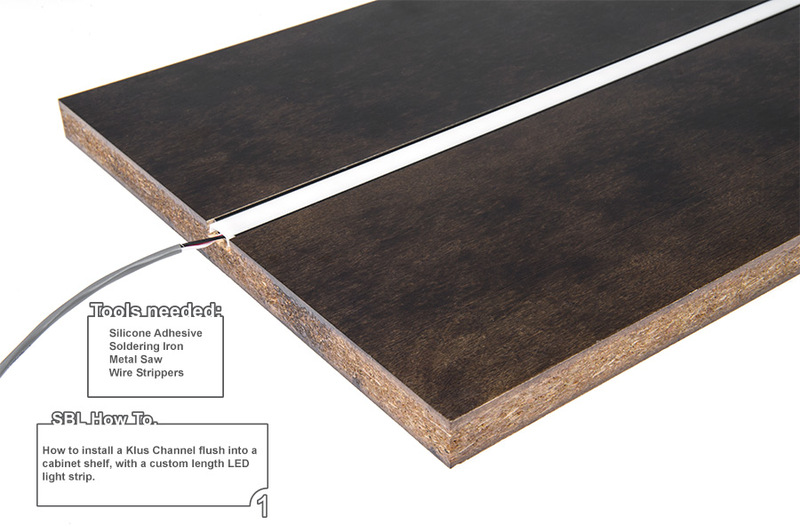 The extrusion is as high as the average thickness of the ceramic tile and mounting adhesive, thus it is very often mounted in floors as it integrates with the floor surface. Additionally, it can be used to illuminate exterior architectural elements, such as building facades, terraces, gardens, etc. Duty lens in place, no way to seal the ends. I wanted to use this product in a damp location. Thank you for the review. While the B1889-1M is intended for use in interior floor applications I have had customers have success using it in applications like yours. You can use a thin bead of silicone down both sides to seal the lens and hold it in place. Then fill the openings at the ends as well.